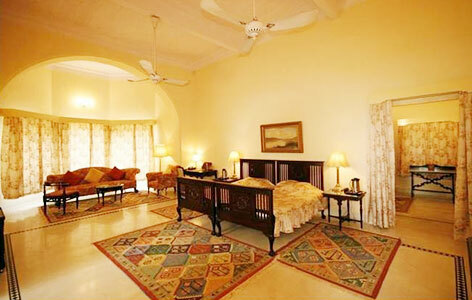 "Constructed in the first half of the 19th century, Brijraj Bhawan Palace is one of the best heritage hotels in Kota. 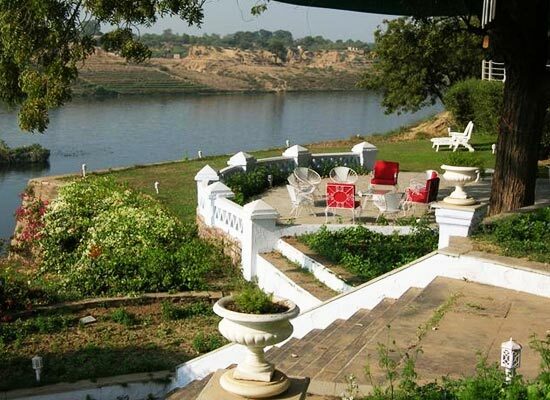 The property lies on the banks of River Chambal and has peaceful surroundings. There are total 7 well-equipped and spacious rooms that have all modern comforts and an old-age decor to charm the guests. There is a multi-cuisine dining venue where the guests can enjoy a lavish spread of lip-smacking food. Enjoy other modern comforts such as laundry, parking space, medical assistance and so on. The hotel is placed closed to a number of city attractions such as Kishore Sagar Lake, Chatra Vilas Garden, Kota Zoological Park and so on. 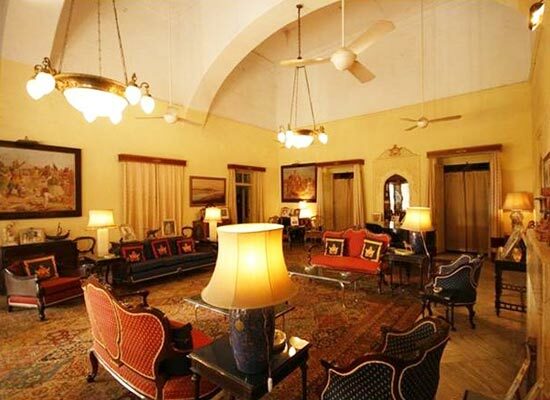 Brijraj Bhawan Palace Hotel in Kota was built in the year 1920, and had been the erstwhile residence of the British. 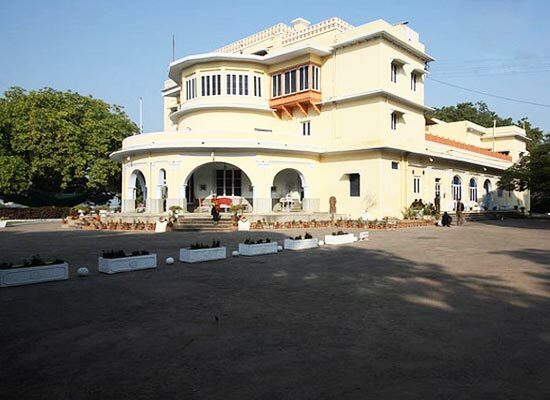 Afterwards however the management of this house was shifted to the hands of the Government who transformed it into a Heritage Hotel in Kota, This hotel is visited by prestigious people coming here for a vacation. Brijraj Bhawan Palace Hotel in Rajasthan is located beside the River Chambal and is one of the finest Heritage Hotels in Kota. The architecture is based on the colonial style and exudes a nostalgic warmth and aristocracy that are so integrally related to the pre Independence British India. 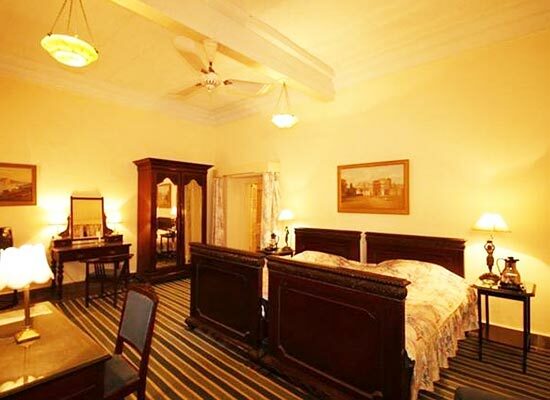 7 air conditioned rooms are categorized broadly into 4 double rooms, 2 suites, and 1 single room. Modern amenities are available in each room that includes bath tub, color television, telephone, with ISD services. Brijraj Bhawan Palace Hotel has a multi-cuisine restaurant that offers various types of Indian, Chinese and Continental dishes. 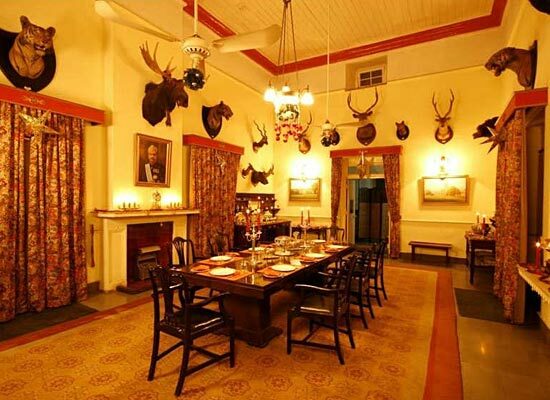 Brijraj Bhawan Palace Hotel is rendered more beautiful with a large swimming pool and a well stocked bar. Kota is not only famous for the beautiful Kota saris but also for the exquisite stones used for many purposes known as Kota stones. Colored blue, it is also used for making floor and wall of building. It is a cheaper material than marble and people who cannot afford marble usually makes extensive use of this stone to build their homes. Places of interest in Kota include beautiful Palaces, barrage and temples.